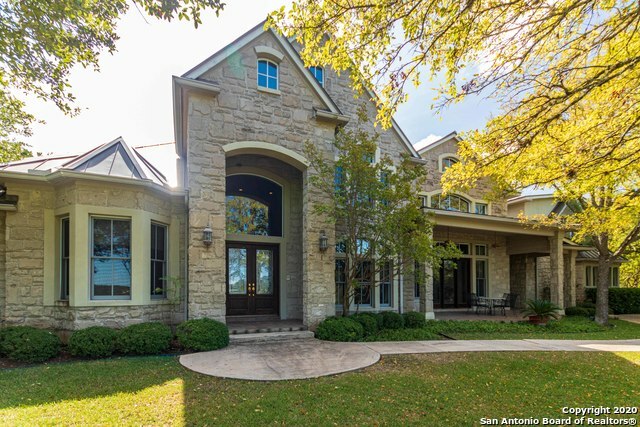 All TAPATIO SPRINGS homes currently listed for sale in Boerne as of 04/20/2019 are shown below. You can change the search criteria at any time by pressing the 'Change Search' button below. "The address says it all! Paradise on a hilltop in Kendall County with breathtaking views from every window and outdoor living space. You can enjoy fireworks on your own backyard swing! Inside find the warm atmosphere created by rich exquisite millwork at every turn and no detail left to chance. Designed for entertaining and family gatherings means 6 burner/ gas cooktop, built-in fridge, double ovens, double dishwashers and a bedroom/bunkhouse. One level Texas living. Office above garage. A"
"Iconic Hilltop Gated Estate on over 5 acres offers a private peninsula with jaw dropping views overlooking the Tapatio Springs Golf Resort. Old World charm blends quality, detail and comfort. Amazing one level living flows from galley to chef's kitchen, open dining & living with fireplace. Luxurious master suite with his/her baths,library plus outside access. Guest suites, media/gameroom with outside access to outdoor kitchen. Professionally landscaped with extensive patios highlights outdoor li"
"This home has it all!Situated on two lots,on a ridge in Tapatio with priceless views!Quiet cul-de-sac.Self-contained apartment w/ELEVATOR and private entrance.All BR have FULL baths.Don't miss the master tub!Furnishings can be including.This home is move in ready!Too many rooms to list on listing, including media room,2nd liv.rm. & tea room.Game rm. has murphy bed.Kitchen has all the bells&whistles inc.walk in pantry,grill,warming drawer & gorgeous views!MUST SEE!!" 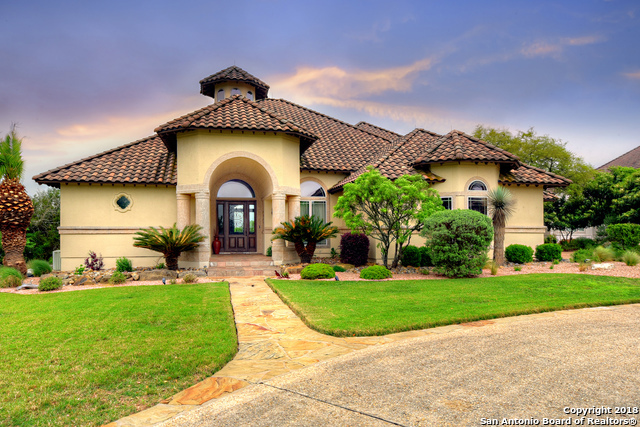 "Gorgeous Mediterranean Style Home in gated section of the prestigious Tapatio Springs! 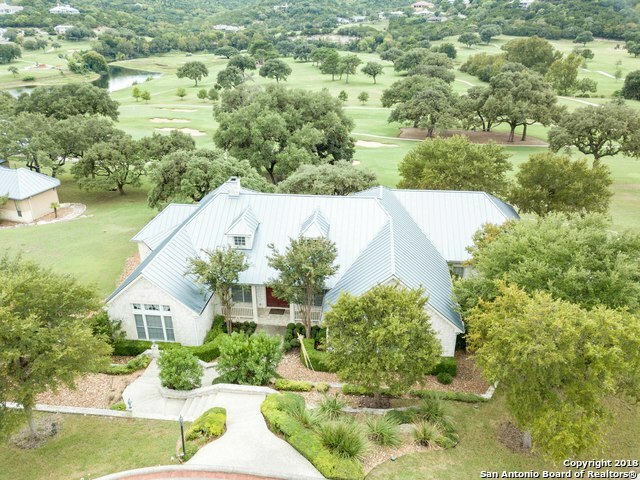 Incredible hilltop views of Hill Country & Golf Course.4069 sqft main home w/outdoor entertaining area featuring pool,spa,waterfall,8 ft gas fire pit&BBQ kitchen.Plus a 474 sqft Poolside Cabana/Game Room.Home offers 4 bed suites w/main level Master Suite & Guest Bed Suite w/Full Bath. 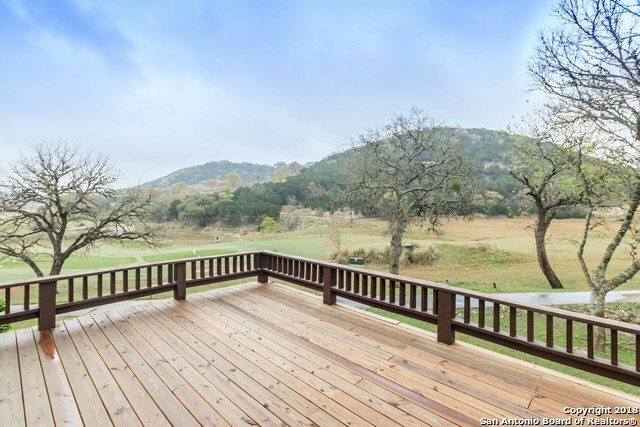 Enjoy the very best of the peaceful Luxury Hill Country Lifestyle in & outside this lushly landscaped & impeccably maintained t"
"This is the BEST view on the Ridge!! Developer Owned Home. 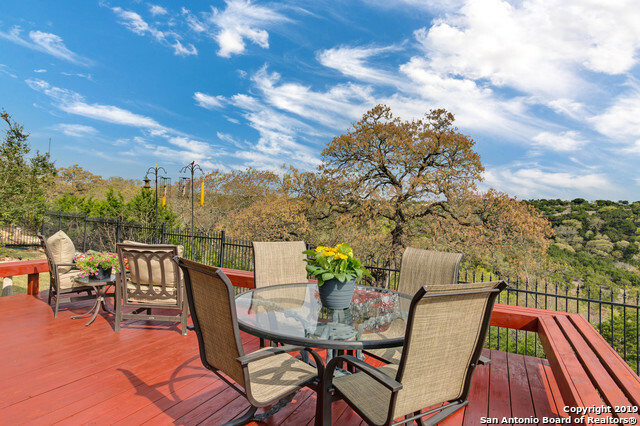 Stunning Hill Top lot with unlimited views overlooking the Hill Country, Boerne and beyond. The Ridge is one of Tapatio's most exclusive gated residential communities. High End appliances including gas viking cook-top, steam shower, Jacuzzi, wood windows, built in BBQ, 5CM granite in kitchen, lots of built in's and more. All underground utilities with a Resident's Clubhouse, Heated Swimming Pool and Fitness Center." "ON THE GOLF COURSE!1 owner!Great floor plan,beautiful views,full masonry fireplace,Marvin wood windows,Subzero,3(2 recently replaced)A/C units,recently replaced hot wtr heaters,surround sound,giant deck and covered patio,box beam ceilings,golf cart garage,HUGE exercise room could easily be converted to 4th bedroom,HUGE walk in closet,wood plantation shutters,standing seam metal roof,concrete reinforced retaining walls,nice landscaping.House is solid and only needs some updated decor,wallpaper, f"
"Custom built home with custom decor throughout! Peaceful courtyard with sparkling pool/hot tub welcomes guests. Rich Knotty Alder wood front door leads to magnificent open floor plan with freshly refinished Saltillo Tile. Custom cabinetry and built- ins throughout home. Custom Wood entertainment center in LR alongside fireplace with tile decor. Kitchen boasts granite counters and custom cabinets. Large covered back deck overlooks unlimited hilltop views. Huge master with access to back deck. 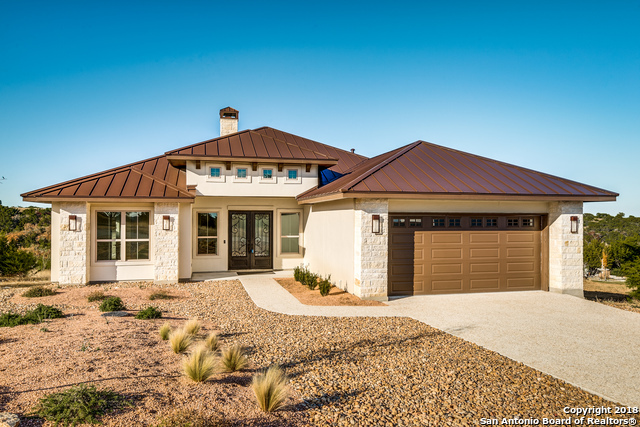 Go"
"BEAUTIFUL FULLY REMODELED HOME ON THE 12TH HOLE IN TAPATIO SPRINGS. YOU WILL BE TAKEN AWAY FROM THE MOMENT YOU DRIVE UP TO THIS GORGEOUS RENOVATED JEWEL! ENJOY ENTERTAINING FAMILY AND FRIENDS ON THE LARGE COVERED PATIO OR FROM THE BAR OFF YOUR LIVING AREA. THIS SPLIT LEVEL HAS IT ALL! TWO LARGE UPSTAIRS BEDROOMS WITH THEIR OWN FULL BATH AND WALK IN CLOSETS. CUSTOM STAINED KNOTTY ALDER CABINETS IN KITCHEN WITH BEAUTIFUL GRANITE COUNTER TOPS. THIS HOME IS A MUST SEE!" "Transitional Home in the Highlands with a completion date of April/May 2019. Open Living concept highlighted by adjoining kitchen, dining and living with fireplace. Private master retreat is easily accessed from the garage. Fourth bedroom can be study, exercise or flex space. Home is all electric but plumbed for gas. Oversized garage w/golf cart space. Great easterly facing covered back patio showcases views of the valley in this gated community in Tapatio Springs. 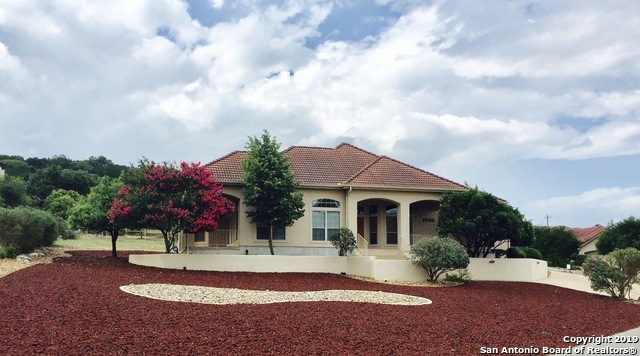 Golf course access with mem"
"Custom 1 story home in popular resort of Tapatio Springs! Double custom metal front doors & open floorplan! Milgard lifetime windows, spray foam insulation, over-sized golf cart garage & more. Chef's kitchen w/Kitchen Aid appliances, 36 gas cook top, custom cabinets, granite counter tops & lots of storage. Buyers will love the huge covered back porch (plumbed for outdoor kitchen) w/unobstructed views! 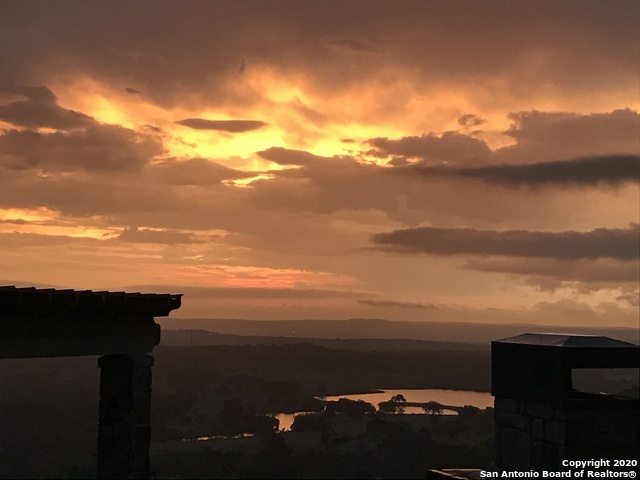 Tapatio Spgs has a beautiful scenic golf course & new clubhouse under construction will open in"
"COME HOME TO YOUR SANCTUARY IN THE EXCLUSIVE GATED COMMUNITY OF THE RIDGE AT TAPATIO SPRINGS. 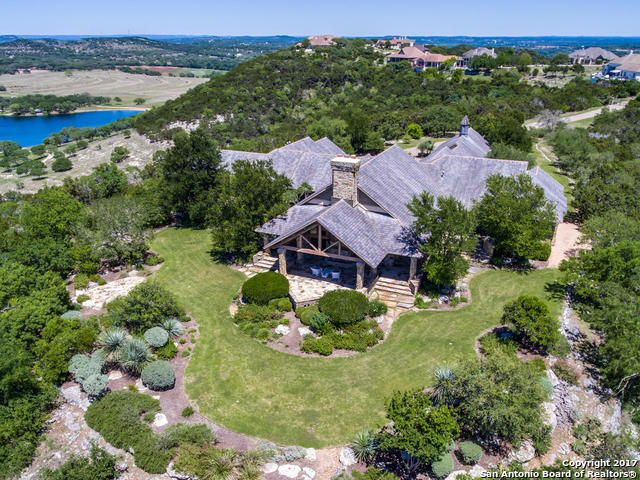 THIS BEAUTIFUL HOME HAS MAJESTIC VIEWS OF THE HILL COUNTRY, HIGH CEILINGS, HARDWOOD FLOORS & AN OPEN CONCEPT THAT INVITES FRIENDS & FAMILY TO GATHER TOGETHER. LET YOUR MASTER SUITE BECOME YOUR HAVEN AS YOU ENJOY YOUR MORNING COFFEE ON THE DECK OR UNWIND IN YOUR JETTED TUB. RIDGE OWNERS HAVE EXCLUSIVE USE OF THEIR OWN PRIVATE CLUBHOUSE, COMPLETE WITH KITCHEN, WEIGHT-TRAINING & CARDIO EQUIPMENT AND THE LA"
"Envision a nature lover's retreat where the back yard is a sanctuary for birds and wildlife. Peaceful, tranquil outdoor living is at its finest on a covered patio leading to an open deck with tree filled views. Home is simplicity of style and design. The spacious chef's kitchen opens to living room with fireplace as well as light, bright dining space. Master retreat boasts views, spa-like bath and well planned closet. Ample sized auxiliary bedrooms, a study and oversized garage round out the f"
"OFFICE CAN DEFINITELY BE 3RD BEDROOM. 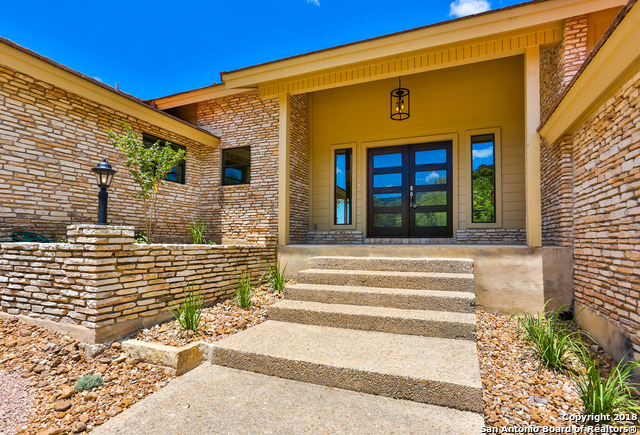 Gorgeous stucco home overlooking the golf course and hill country. You will love the open areas, granite countertops, high ceilings and gorgeous views out all the windows. Very light and bright. Custom built in desk with cabinets and bookshelves in office which could also be 3rd bedroom. Low maintenance landscaping with drip system, lifetime Spanish tile roof, 2 exterior patios. Come relax in a wonderful community and enjoy the resort amenities of Tapat"
"Townhouse is single story, large storage room in the garage, renovated approximately 8 years ago including kitchen and bathrooms with beautiful custom cabinets, granite's and tile. HOA fee are scheduled to be lowered later this year. Property is located next to the pro shop and new under construction clubhouse. Combination of Location, sun exposure, view and price make this property far more attractive than anything on the market at Tapatio Springs. No one above or below make it extremely quiet "